I am delighted to report that composer John Williams and director Steven Spielberg asked me to pen the notes for the third volume in their Sony Classical series of “Spielberg-Williams Collaboration” albums, released today (March 17, 2017). It’s a newly recorded collection of themes and suites from their past two decades of filmmaking, eight of which were nominated for Best Original Score at the Academy Awards (including such masterworks as Saving Private Ryan, Catch Me If You Can, Munich, War Horse and Lincoln). And when Sony Classical decided to make it a 3-CD package — including the two earlier albums — they then requested a new introduction to all three discs. It was an honor to be chosen and I hope that my words will help to illuminate just how special this 43-year collaboration has been, both for film and in American music. 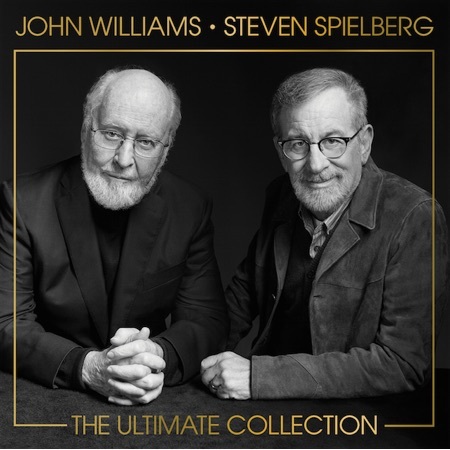 This entry was posted in Composers, Film Music, Interviews and tagged John Williams, Sony Classical, Spielberg-Williams Collaboration, Spielberg-Williams The Ultimate Collection, Steven Spielberg on March 17, 2017 by Jon Burlingame.